hd00:09rustic vegetable still life. 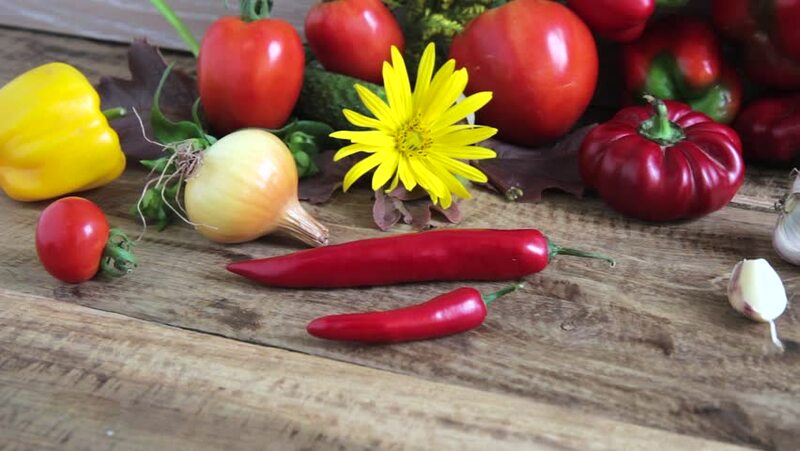 fresh vegetables on wooden background with flowers. hd00:18The cook cuts pepper on a kitchen board. 4k00:11Fresh ripe vegetables on wooden table. Close up. Doll shoot.